China has had its share of ponzi-like investment scheme blow ups in the past, most recently last April as we described in "Investors Rage After 3 Billion Yuan Vanish From China's Largest Private Bank" and previously in "Chinese Investors Find Out They Got Fleeced By A $7 Billion Ponzi Scheme." But nothing quite like this, and no, it does not involve cryptocurrencies. According to the Asia Times, at the height of its business operations, online investment company, Qbao.com, had around 200 million registered users. With its "get rich quick" promises and tantalizing tales of up 80% returns, the company had a cult-like following with investors known as Baofen or fans of Qbao, not to mention potential clients clamoring to sign up for the financial firm’s products, leading to as many as 2 million new users every day in late 2017. Even the full name of the company, Qianbao, had the veneer of success, as it translates into "money treasure." Unfortunately for up to 200 millions ordinary Chinese, dreams of overnight riches became a nightmare when the founder of the site, Zhang Xiaolei, was placed in police custody after turning himself in just before the start of the new year. He has been accused of illegally raising 70 billion yuan or some $11 billion, according to sources close to the Chinese authorities and reported in the mainland media. 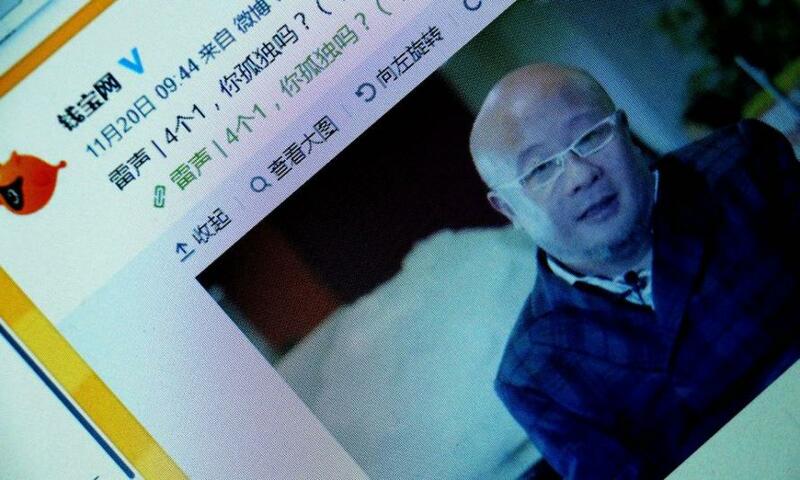 If those allegations are true, this would be the largest online investment fraud in China’s history. “This shows the reality that many Chinese people are still short of money and are crazy for high-returning investment channels,” Li Chao, an analyst at market consultancy iResearch in Beijing, told the state-owned Global Times. So “crazy” that they risk losing it all; indeed, that looks nearly certain after Zhang walked into a police station on Dec. 26 in Nanjing, the capital of East China’s Jiangsu province, where Qbao.com was wheeled out in a blaze of publicity nearly eight years ago. The authorities believe investors may have become the victims of a giant Ponzi-type scam, where new clients ended up paying inflated returns to established customers without their knowledge. Before the internet investment company was closed down, it was attracting nearly two million users every day in late 2017 from its headquarters in Shanghai. “Police are calling on Qbao investors in all regions to report to local public security authorities and cooperate in investigations after the company owner, Zhang Xiaolei, was [held] in custody for suspicion of an illegal fundraising crime,” the company said in a statement. Meanwhile, investors are in denial: many clients are convinced this is all a massive mistake, even though the online finance industry has been plagued by scandals, as Chinese regulators struggle to get grips with the problem. In February 2016, a leading online peer-to-peer lending service, Ezubao, was accused of swindling more than 900,000 investors out of more than 50 billion yuan in less than two years. A court in Beijing later sentenced Ding Ning, the architect of the $9 billion Ezubao online financial fraud, to life imprisonment, which finally closed the chapter on one of the biggest Ponzi schemes in modern mainland history. But if the allegations concerning Qbao.com and Zhang are true, this could dwarf that case. On Dec. 27, along with millions of other clients, Mu had his account on Qao.com frozen. What happens next depends on the Chinese police investigation and the decision by the central bank to launch an inqury. It has ordered all commercial banks in Jiangsu province to roll out internal inspections for potential loans linked to Qbao.com or its affiliated companies. But that “trust” has slowly turned to disdain and anger as the details of Zhang’s online world trickles into the public domain. In the end, the fall out could leave them broke in more ways than one. Of course, investor denial will eventually turn to acceptance, but first comes the anger stage, and if indeed 200 million Chinese may have lost a substantial portion, if not all, of their net worth, the anger will be tangible and could prove to be a true black swan for a country which - as we have profiled since early 2016 - has been teetering on the verge of social unrest.